Do Science and Scripture Harmonize? Yes (Obviously). AP camps provide a tremendous means of insulating the young against the onslaught of unbelief and secularism assaulting American society. They stimulate spiritual growth. They foster new friendships that enable young people to have a network of individuals who are also trying to purify their lives and live for Christ. Quite frankly, we at AP have been pleasantly surprised and thrilled that AP camps have been so successful in achieving noble spiritual goals. They have become one of AP’s most effective tools in the promotion of the cause of Christ and the defense of the Christian Faith. 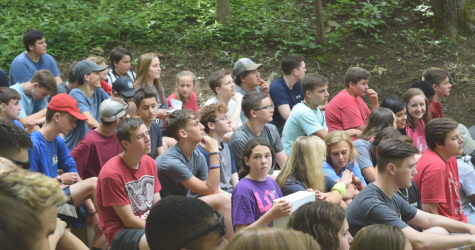 The next AP camp is scheduled for June 2019 and will focus on “The Flood.” If you want your children to experience an outstanding summer camp, to be strengthened spiritually, and to be exposed to quality Christian young people and adults, you should consider enrolling them in the AP Christian Evidences Summer Camp.